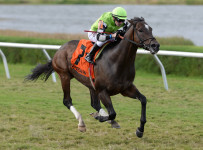 Racing is off the turf on Friday at the Gulfstream Park West meet, being held at Calder. 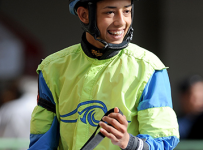 First post is 1:15 p.m. for an eight-race card. The first, third. fifth and seventh races have been moved to the dirt track that is listed as fast. 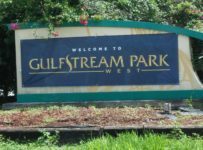 On Wednesday and Thursday, meet sponsor Gulfstream Park also moved all scheduled-for-turf races to the dirt due to wet conditions. Wednesday was opening day forthe 40-day meet.